Upgrade your existing Nodal Ninja Panorma head with the RD3L 6-8-30 Rotator Base and leveller combination. What 'click stops' does the RD3L have? 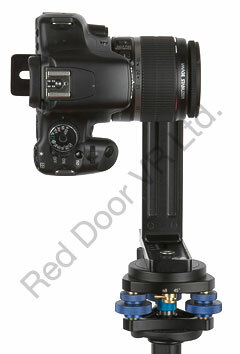 GREAT PRODUCT FROM NODAL NINJA - the all new R-D3L with new EZ-Leveler-MKII built in. Users can now adjust very fine leveling with loading of heavy gear on top. Unlike leveling using ball head or tripod legs, leveling remains stationary after each adjustment. No more need to compensate for the effect of loading. Maximum angle of adjustment is 5 degrees. 3 selectable detent interval options. You can select 6, 8, or 30 click stops. By skipping clicks, you can also get a choice of 2, 3, 4, 5, 6, 10, 15 etc. stops. This rotator allows you to adjust the "zero" angle position. Without moving the tripod, you can point NN in any direction. Compact and light weight. Probably this is the most compact and light weight rotator with leveling base built-in, a mere 350g and a minimum height of 49.5mm. Maximum angle of tilt adjustment = 5 degrees. 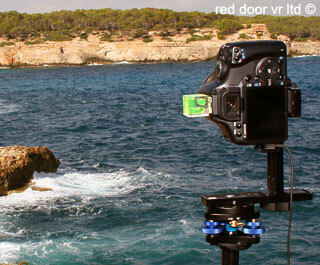 Nodal Ninja NN3 KII with R-D3L Rotator/leveller on location in Majorca, Spain. Suitable for upgrading your existing NN3 MKII, NN4 or NN5/L Panorama head.